I’m an old-school audiophile so call me sentimental, but I’m also a Gadget Guy. So when I see retro technology combined with today’s innovations I get pretty excited. This time, it comes from long-time audio products manufacturer Pyle USA. Today, they unveiled a brand-new turntable that almost makes a vinyl record stand up on its end. It’s called the Bluetooth Vertical Turntable, a new gadget that plays vinyl records positioned vertically and wirelessly streams music from almost any Bluetooth enabled device. Read more…at Canoe Tech Blog. 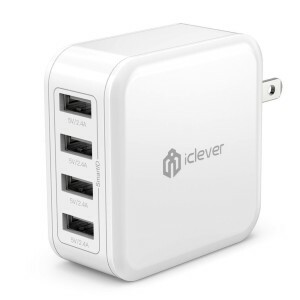 The iClever BoostCube 4-port is a smart 40W/8A USB wall charger whose claim to fame is that it can up charge to four USB devices simultaneously at full power from a single plug. At 2.45” x 2.45” x 1.12” it has a small and sleek form factor with a nice quality finish that’s about the same width and about 1/2” bigger than an iPad charger but smaller than a MacBook AC charging block. 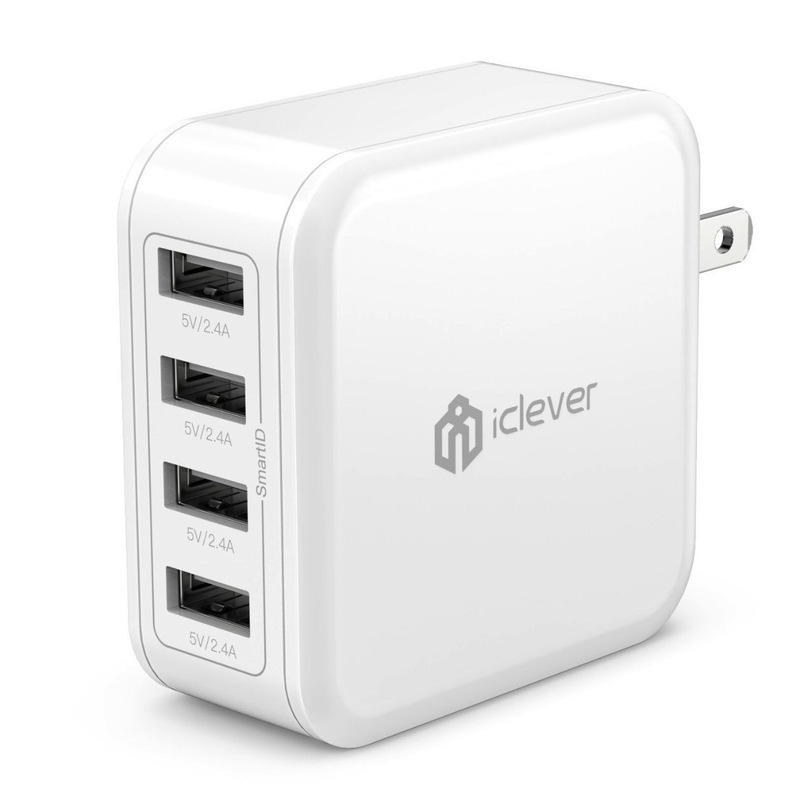 iClever BoostCube features SmartID. 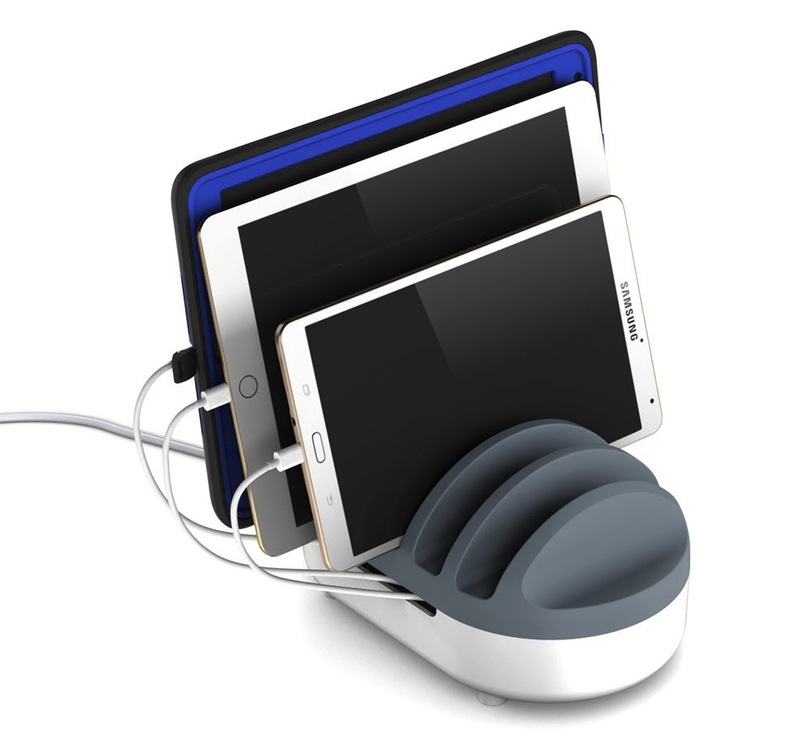 This means it can recognize the type of device plugged into it and deliver up to the full 2A per plug and charge the likes of the iPad Pro, iPhone 6S Plus, Samsung Galaxy S7, LG G5 and others at the same rate as their original chargers but up to four at a time. Read full review at Canoe_Tech Blog. Many people find cables dull, boring and a necessary evil when a wireless solution is not an option. But it doesn’t have to be. Here are a few USB Lightning charging cables that are not only practical, some also have a neat funky twist to them. Read more…at Canoe Tech Blog. I do keep my office reasonably clean, but truthfully my office is usually covered wall to wall with gadgets, cables, books, magazines, manuals, boxes and more. I’ve never really thought about all the dust bunnies and other allergens that might be lurking in the dark crevices behind and beneath all my gadgetry. Enter the 2-in-1 Satechi USB Portable Air Purifier & Fan. It can eradicate the bunnies, remove those nasty allergens and provide for a little breeze or air circulation. It looks like a small desktop speaker, measuring 11 x 11 x 9 cm, small enough to be portable and weighs a mere 350g so you can use it in the home, in the office, on the road and even in your car. No drivers to install; it’s plug and play and runs off 5V USB, so you can power it from a USB compatible wall charger or even your computer. It has two modes – compressed and expanded. When compressed it takes on the role as a purifier, designed to grab those ultra-fine particles like dander, dust and pollen from the air; when expanded by pulling out the front, it runs like a personal fan. You could toss that empty 750mL rum bottle into the trash, return it to the depot and get your quarter back or you could really be environmentally friendly and turn it into a funky little USB desk lamp. This can easily be made possible with the Satechi Touch USB LED Bottle Lamp. If you love Comedy Central and can’t get enough of “Blake” the goofy telemarketer from Workaholics or “Mysterion” the masked superhero from South Park, for a limited time, you’ll be able to get them as your very own asMIMOBOT USB Flash Drives.